According to the latest World Health Organization report, 214 million cases of malaria were diagnosed in 2015, causing 438,000 deaths around the world. Despite these figures, the WHO is optimistic about the future of the disease. Over the last fifteen years, the incidence has been reduced by 37%, and mortality brought down by 60%. Thanks to research in new diagnostic and therapeutic methods, together with improved health care and prevention, it is estimated that 6.2 million malaria deaths have been prevented since 2001. In addition to such essential advancements against malaria as the development of the Mosquirix vaccine, which prevents transmission of the parasite through infected mosquitoes of the Anopheles genus, a number of other projects have driven the fight against malaria. Among them, those associated with nanotechnology are especially noteworthy. Specifically, the arrival of nanomedicine has made it possible to envision a future in which the long-awaited “silver bullet” against malaria will be found. The Nanomalaria group of the Institute for Bioengineering of Catalonia (IBEC) and the Global Health Institute is working to apply nanomedicine to the fight against this disease. For several years now, this team of scientists has been using technological cores to determine the structural changes that occur in red blood cells once they are infected by the parasite. For example, in a 2013 study published in Nanoscale, fluorescence microscopy, FACS, atomic-force microscopy and force spectroscopy were used to show that heparin could bond specifically to erythrocytes infected by Plasmodium falciparum. This demonstrated that glycosaminoglycans play a key role in the parasite’s “sequestering” of red cells in the microvascular endothelium of various tissues, as well as in the formation of clumps or “rosettes” of non-infected erythrocytes around infected ones, two prominent traits of the most severe cases of malaria. Along these lines, fluorescence microscopy and FACS were used to determine the specific binding of exogenous heparin with infected red blood cells, while the rosettes were shown thanks to force spectroscopy, which indicated a range of forces varying between 28 and 46 pN. In the control experiments conducted, no binding was observed between heparin and erythrocytes uninfected by the parasite. The work was the first quantitative study to identify the glycosaminoglycans and red blood cells at the individual molecule level. One year later, the same research group, with the support of scientists from the Faculty of Pharmacy and the Scientific and Technological Centers of the University of Barcelona, determined that heparin had a double activity against malaria. In an article published in Nanomedicine, using confocal fluorescence and electronic microscopy images, they demonstrated that half an hour following heparin treatment of red blood cells infected with Plasmodium, the anticoagulant had penetrated the intracellular parasites. These techniques indicated that heparin could have activity against malaria. But this was not the work’s only intriguing result. 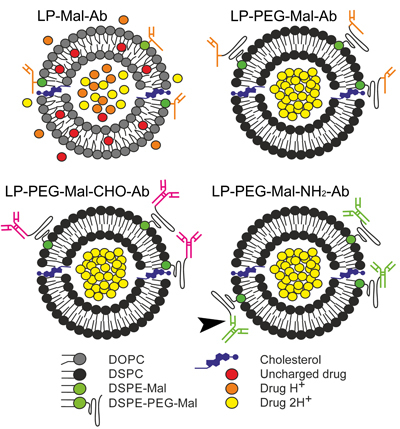 By being electrostatically adsorbed over positively-charged liposomes, and by containing a malaria medication called primaquine inside, they could triple the activity of the encapsulated drug against cultures of Plasmodium falciparum. In other words, the structural observations that had been made on heparin affinity were only the beginning. In fact, the anticoagulant could work as a “focalization element” of drug-loaded nanoparticles that would fight malaria by being able to specifically bind to infected red blood cells. In the words of Xavier Fernández-Busquets, researcher at the IBEC and ISGlobal, “the results open the door to improving heparin treatment against malaria thanks to its activity as a drug, and specific vectorising agent of other antimalarials.” The scientist also underscored the need to conduct more trials in the clinical phase to confirm the role played by the anticoagulant. However, months later, the group’s nanomedicine research yielded still more positive results thanks to a novel approach. For decades, science had hypothesized about liposome-encapsulated antimalarials such as primaquine being able to reach infected erythrocytes. This strategy, nonetheless, had not gathered scientific evidence solid enough for clinical studies to progress. Researchers explored what would happen if they turned their focus to the red blood cells uninfected by the parasite. A study published several months ago in Journal of Controlled Release proposed a new pathway to fight malaria. In this case, the aim was for unaffected erythrocytes to act as “drug carriers”, to ensure that Plasmodium falciparum would not be capable of initiating its development cycle, thus anticipating the infection by the parasite. The results were obtained by using techniques such as fluorescence microscopy, flow cytometry, transmission electronic microscopy or mass spectrometry, among other techniques. 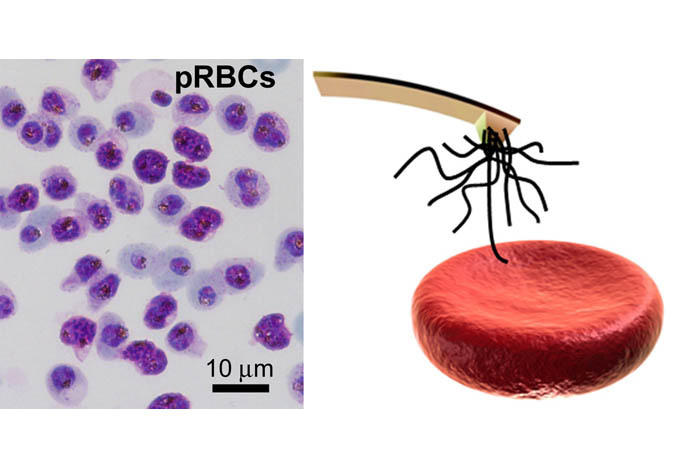 Using them, researchers observed that the parasite’s survival was significantly compromised when it found its “enemy” (in drug form) had already entered the red blood cell before Plasmodium falciparum could infect it. The various approaches of nanotechnology in medicine are designed to develop “silver bullets” that attack disease with greater efficacy and fewer side effects. 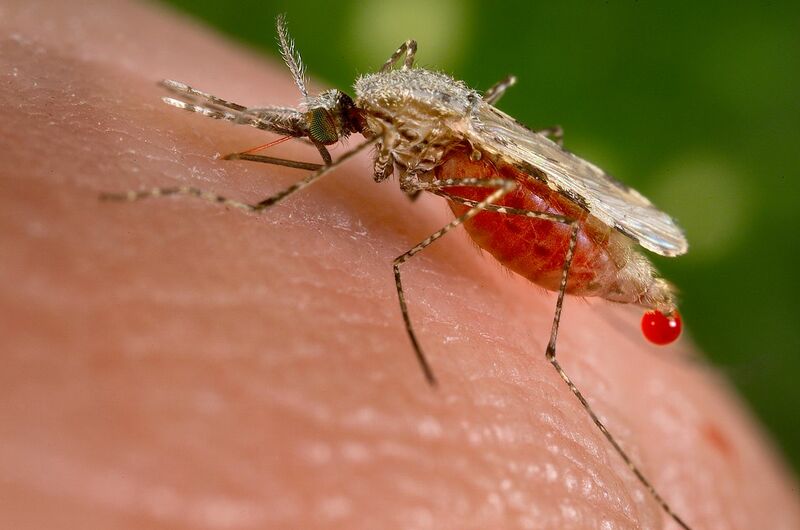 One classic example continues to be malaria, in which resistance to drugs such as chloroquine could hinder the advancements made in the fight against this disease. Knowing the structures and mechanisms parasites use to infect, and designing strategies against them, are two primary goals of nanomedicine, in which the technological cores can also play a major role.